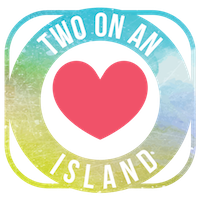 If this is your first time on Two On An Island, we play Romance Games 4 times a year! The objective is to seduce your partner 7 times in a season. Seek to delight your mate. Share your Love stories on INSTAGRAM. Tag your adventures with #SpringLOVE19.